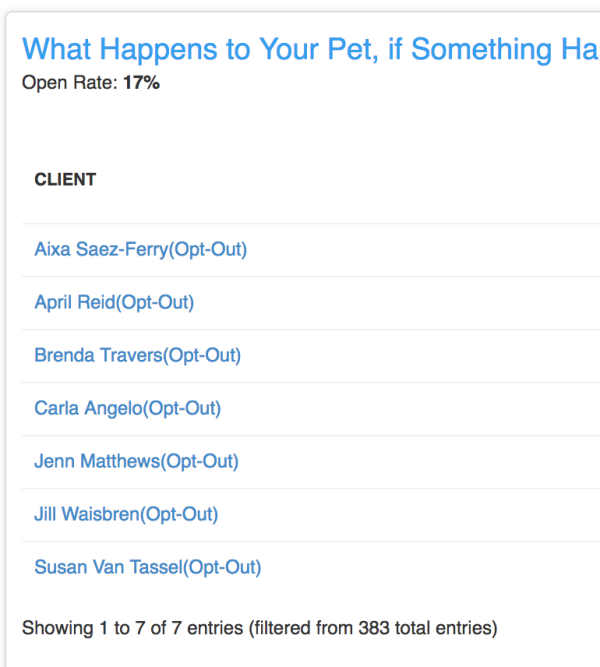 Time To Pet allows you to quickly send a mass email to all or a subset of your clients at one time. Each mass email is called an Email Campaign. Navigate to the Messages Center. Click the "Email Clients" tab. Click the "New Email Campaign" button. Enter the campaign's name. This will also be the subject of the email. Then click "Save And Select Clients". When you are happy with your client list, click the "Save Clients & Edit" button to move on. The next screen is where you can create the body of your message. Below the message box there are three buttons. Send Me Sample: This will send you a sample of the message, exactly as it will appear to your clients. Save Draft: This will save a draft of your email allowing you to leave this page and come back at a later point to edit your message. Send Email: This will send the email to all selected clients. A confirmation box will appear asking you to confirm that this is indeed the action you would like to take. 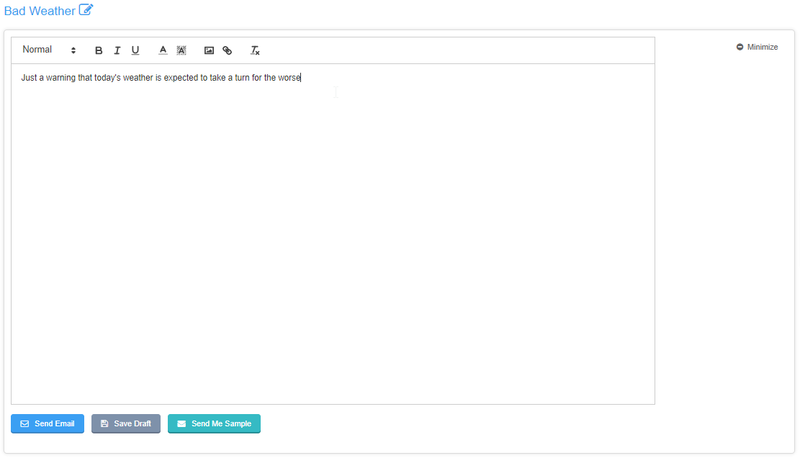 You are also able to modify the recipient list while editing the message. To add a new client, select their name and click the "Add Client" button. To remove a client, click the "Remove From List" link to the right of their name. To start over with the list of clients, click the "Rebuild Client List" button. This will allow you to build the list from scratch again using the pre-defined filters. You can edit the email campaign's name/subject at anytime by clicking the edit icon next to the name. Use the Input to edit the name and then click the "Save" Icon to save the changes. 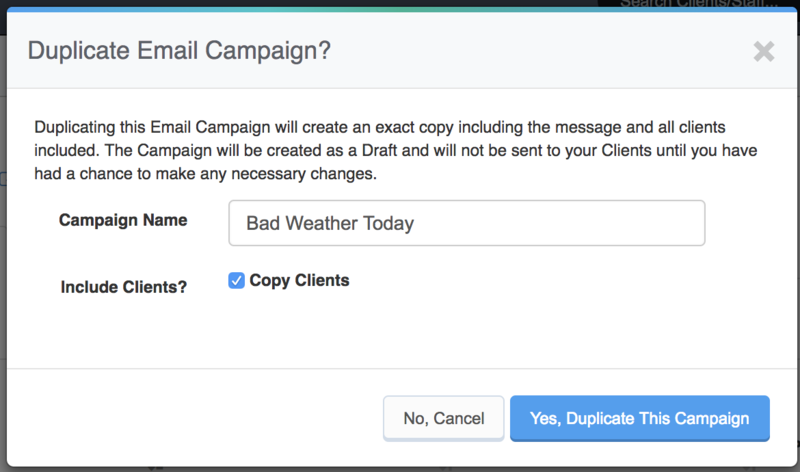 You can duplicate an email campaign allowing you to reuse it. This saves you from having to re-create a campaign that will stay largely unchanged. 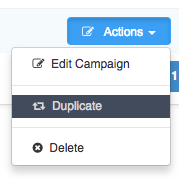 A duplicated campaign will contain the same message, and you can choose whether or not to copy the same client list. You will have the ability to make any necessary changes before the email is sent. Navigate to the list of all email campaigns. 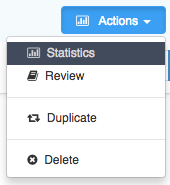 Click the "Actions" button and select "Duplicate". Use the popup window to edit the new campaign's name. Click the "Yes, Duplicate This Campaign" button to continue. Click the "Actions" button and select "Statistics". With every email sent to a client, there is an "Unsubscribe" link at the bottom of the email. If a client selects this link, you will see an "(Opt-Out)" label next to their name when viewing the statistics. These names will roll-over to the next campaign and display in the statistics as "Opt-out" as well. You can filter to view the unsubscribed clients by typing in "Opt-out" in the search box on the box.